Hardware maker Dell and open source Linux king Red Hat are teaming up in a bid to make a buck in the new area of network function virtualisation (NFV) technology. NFV technology is supposed to help carriers reduce costs and quickly roll out new services. The pair have co-engineered Dell-Red Hat OpenStack-based NFV and software defined networking (SDN) software which should be in the shops in 2014. According to a Dell statement, these network functions are traditionally run on proprietary gear. Major carriers are interested in NFV because its gives them a standards-based approach to virtualising telecom software and run on industry standard servers, he said. Dell has been developing a closer relationship with Red Hat lately and late last year announced it would sell systems based around Red Hat's version of the OpenStack open-source cloud platform. The offerings are to be tailored for large enterprises that wish to set up private clouds. 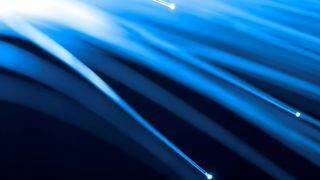 Dell said the Carrier project built on that agreement to include NFV and SDN applications designed to help operators increase infrastructure agility and reduce costs. It has also been elbowing its way into leadership of the CloudNFV organisation. The hardware maker plans to provide more details about its NFV plans and its cooperation with Red Hat at Mobile World Congress in Barcelona next week. Dell faces some tough competition in the area. Alcatel-Lucent already announced its own plans to work with Red Hat on NFV. Alcatel-Lucent is using Red Hat's Enterprise Linux OpenStack Platform to power its CloudBand platform. HP is also expected to detail plans for a new NFV business with Bethany Mayer expected to head it. Now read all about how Nuance is predicting cross platform virtual assistants within two years.